In this workshop, we'll learn how to how to make generative art using p5.js, a powerful visual programming library built for the web. This tutorial walks through p5.js from the ground up––from initial setup & foundational concepts, to the library's core functions, as well as its more advanced features. Topics covered include the coordinate system, shape primitives, lines, stroke, fill, color, mapping, events, and transforms. At the end, we'll break out of the tutorial format, and give free reign for attendees to create, tinker, and experiment freely with the library. You'll walk away with a generative art piece of your own original design, as well as a newfound appreciation for code as a medium for creative expression. 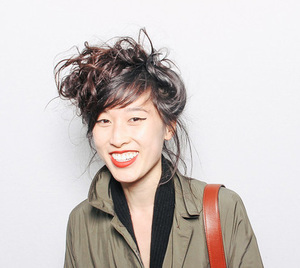 Emily Xie is a generative artist, educator, and programmer. She recently completed a residency at Pioneer Works, a Brooklyn-based experimental art center, where she spent her days making art with code. In addition to using p5.js, Emily also loves teaching it, having led workshops at Pioneer Works, Recurse Center, and even making a guest tutorial on Dan Shiffman's creative coding channel, The Coding Train, where she taught how to re-create the Matrix Digital Rain. Emily currently works as a software engineer at Squarespace and lives in NYC.